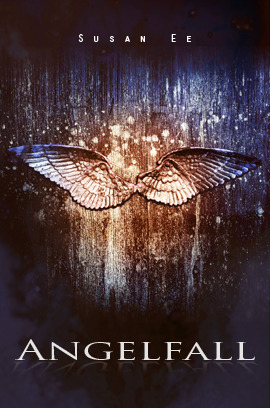 GENRE: Young Adult, Dystopia, Post Apocalyptic, Science Fiction, Paranormal and Urban Fantasy. The world is in shambles after an angel apocalypse. Gangs rule the streets while avenging angels rule the sky. Penryn is just trying to survive, as well as watch out for her disabled sister and crazy mother. When her sister is taken hostage by a group of warrior angels, Penryn makes an unlikely alliance with the enemy, a wingless angel named Raffe. He is anything put grateful for being saved by a half-starved girl but realizes he needs her in order to navigate this world. Together they scour California, each in search of different things, but bonding on the need to survive. When they are tested and put at risk will their uneasy alliance grow to something more? Or are humans and angels never meant to be together? This might be my favourite read of 2013! I devoured this book in only a few hours, I couldn’t stop reading! The novel starts off fast-paced, as we follow Penryn, her disabled sister and her psychotic mother as they scavenge in a strange new world. Earth has been destroyed by angels, not the sweet ones you’ve always known, but evil avenging angels who stop at nothing to destroy humans (even though we made the first shot by killing their leader Gabriel). When Penryn sees a single feather floating in the sky, suddenly everything changes, and with an unlikely partnership with the enemy begins she fights to get her sister back. Penryn was amazingly strong and badass (just how I like ’em!) but also sweet and funny as hell at times. Raffe was one of the best male leads I have read in a looong time and Obi is certainly going to be interesting in the next novel, where I assume he will play a bigger role. This was a perfect balance of action, romance, creepiness (cannibals, scorpion-demons, bat wings oh my!) and post-apocalyptic drama. I hope more people get to read this novel, it is just fantastic! And as a side note, this came from an indie author and had no grammatical errors, run on sentences etc. It was damn near perfect, so those who have sworn off reading self-pub should still give this a try!